Brian H Waters: John Cena vs Roman Reigns, Who Do You Root For? 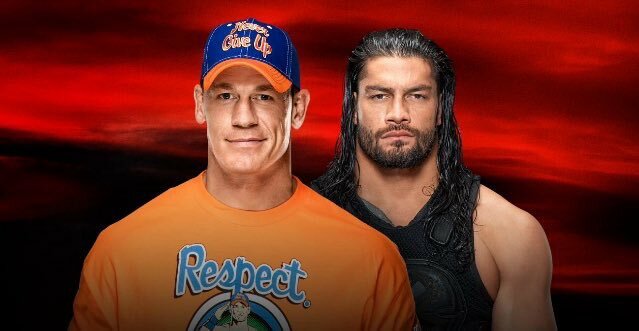 Roman Reigns vs John Cena, the matchup for this generation. Both guys have been two of the top babyfaces in the company. On one hand, you have John Cena who has been the guy for over a decade. In my opinion, the greatest WWE Superstar ever. On the other hand, you have Roman Reigns, the guy who "the company" loves and wants you to love. So here is the question, who do you root for? During the contract signing, Cena and Reigns took so many shots at each other, to the point Cena even owned the fact that they are breaking the 4th wall. While Braun Strowman vs Brock Lesnar will be the main event, these two just sold us on the fact that this must see TV. There is no doubt that the same way The Rock brought out the best in Cena in 2011, Cena will do the same for Reigns. It's too early for me to pick a winner, but I cannot wait until next week to see what they have up their sleeve. Look below at how Twitter reacted.